The 600MW transmission link would allow large wind farms to export energy from Shetland. ENERGY regulator Ofgem has provisionally approved a proposal to build a 600MW subsea interconnector cable between Shetland and the Scottish mainland which would allow large renewable projects in the isles to export energy. The Scottish and Southern Electricity Networks (SSEN) transmission link, however, is subject to the proposed 103-turbine Viking Energy wind farm winning government subsidies in this year’s contract for difference (CfD) auction. The project would link Shetland to the UK mainland electricity network for the first time. It would see a 600MW HVDC subsea cable lie between Kergord in Shetland and Noss Head in Caithness, and it would connect into SSEN’s Caithness-Moray transmission link. It is estimated to cost around £710 million and SSEN want to have it in place by 2024. Ofgem said that “all energy consumers pay for the cost of investment in new capacity through their energy bills and the regulator ensures that it obtains the best deal possible for them”. While Viking Energy said the news is a “breakthrough” for Shetland renewables, local campaign group Sustainable Shetland said it was “disappointing”. SSEN, meanwhile, is now recommending a “whole system” approach for Shetland’s future energy demand needs once the diesel fuel Lerwick Power Station – which will come into breach of emissions law in around a decade’s time – closes in 2025, meaning that energy could be imported to the isles as well as exported via the subsea cable. Ofgem decided in 2017 to reject a proposal to replace Lerwick Power Station with a 60MW cable which would have brought electricity to the isles from the Scottish mainland, but not allowed any large exports. Energy distributors Scottish Hydro Electric Power Distribution proposes to contribute to the cost of the transmission link, which it says would “reflect the avoided cost of securing demand on Shetland in future once the Lerwick Power Station closes”. This is estimated to reduce costs to the consumer by around £150 million. The energy regulator is now holding a consultation on the transmission link plans, and people have until 3 May to have their say. A final decision is expected from Ofgem in mid-2019. Ofgem says it is minded to deliver the proposed project using the ‘competition proxy’ model, “setting the revenue that SSEN can earn from building and operating these links based in part on the regulator’s experience in cutting the costs of connecting offshore wind farms to the grid by tendering the ownership of these links”. SSEN, however, says that model is “fundamentally flawed and effectively re-opens a regulatory price control for no consumer benefit”. Not only could a transmission link help to pave the way for the Viking Energy wind farm, it would allow other proposed projects like the smaller Beaw Field and Energy Isles developments in Yell to move one step closer to becoming viable. Ofgem said the proposal for the 600MW link is the “most beneficial option (in terms of long-term value for money) for Great Britain consumers”. “We consider that the proposed condition for our approval of the needs case (i.e. 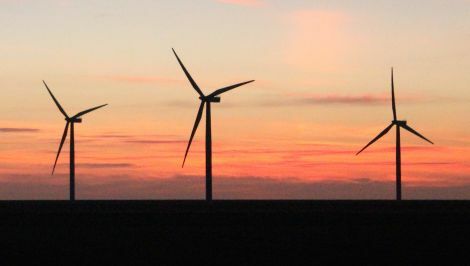 Viking Energy wind farm securing a CfD) appropriately protects consumers from the risks of paying for a link that is bigger than needed,” it added. The regulator added that if the transmission link does not come to fruition, then another competitive process to determine “a whole new energy solution” will likely be needed to map out Shetland’s future energy demand needs once Lerwick Power Station closes. Ofgem, meanwhile, also said on Tuesday that it is minded to reject SSEN’s separate proposal to build a similar 600MW transmission link for the Western Isles to the mainland based on two Lewis wind farm projects being awarded subsidies because of the “risk of consumers paying for a significantly underutilised link”. SSEN managing director said Colin Nicol: “Ofgem’s decision to provisionally approve SSEN’s 600MW proposed transmission link is an important milestone in connecting Shetland to the mainland electricity network and helping to unlock its significant renewables potential. Viking Energy Shetland head of development Aaron Priest said: “We are delighted to see the transmission connection project taking this big step forward. Sustainable Shetland chairman Frank Hay, however, said there are still “hurdles” to overcome before a transmission link becomes reality. “We will be responding to the consultation outlining again our concerns about the Viking project,” he said.